Ahead of the BBC's Sports Personality of The Year, Sport Photo Gallery looks back at 2018, an incredible year for sport! As ever, the most inspiring sporting moments have been captured and immortalized on camera. All of these incredible images are available to purchase on Sport Photo Gallery - so what are you waiting for? Find your favourite and get ordering today! Becoming the 10th squad to secure the Grand Slam since Italy's introduction to the Six Nations in 2000, Ireland showed their class in a thrilling final game with England at Twickenham. Crowned Grand Slam champions for the third time in the Six Nations, Ireland will be a tough side to beat in 2019. A resurgent England side, recovering from a slump in form, will have something to prove next year though. Will the splendour of the 2018 Grand Slam moment be repeated this coming spring? Rugby fans will hope so! See more Rugby photos & posters. Arguably the world's favourite horse racing event, the Grand National impresses every year. Winners - both horses and jockeys - become immortalized instantaneously, much like the race's greatest ever winner, Red Rum. In 2018, it was the turn of the impressive Tiger Roll, who won in a dramatic photo finish, jockeyed to victory by Davy Russell. Russell's story itself is no less impressive. The oldest jockey in the race, Russell won the National at his 14th attempt. A fairytale end, and an historic sporting moment in 2018! See more Horse Racing photos & posters. Hosts (and favourites for the gold medal) Australia were stunned by the England netball team in the dying minutes of the Commonwealth Games final back in April. Claiming their first ever Commonwealth gold, the jubilant celebrations of this inspirational team provided with a lasting sporting memory. See more Netball photos & posters. At 43, Williams became the second oldest winner of the World Snooker Championship in 2018 - Ray Reardon won it in 1978 at the age of 45. More impressive however, is that it was the third Championship for Williams following victories in 2000 and 2003, the 15 year gap between Crucible victories making this one even sweeter. Having not won a tournament between 2011 and 2017, Williams has rediscovered his form, breathing new life into his career. A truly inspirational sporting tale for 2018. See more Snooker photos & posters. See more Football photos & posters. Not the Brit everyone thought would win this year's Tour de France, Geraint Thomas' triumphant ride past the Arc de Triomphe was made all the sweeter with victory over teammate Chris Froome. Only the third Brit (after Froome and Sir Bradley Wiggins) to win Le Tour, Thomas had played a role in both of his compatriots Tour wins. So it was only right that the three-time World Champion and two-time Olympic Gold Medallist took his place amongst the greats of the sport with victory in 2018. See more Cycling photos & posters. At just 22, Dina Asher-Smith had an extraordinary summer in Berlin at the European Championships, claiming two gold medals. The sprinter successfully defended her 200m title and claimed victory in the 100m this time out too. In the latter, she set a new British record time of 10.85 seconds. Asher-Smith has now set her sights on World and Olympic championships, and will undoubtedly be one to watch for years to come. See more Athletics pictures & posters. While most of the iconic sporting moments in 2018 (at least, the ones on this list) are UK-centric, Naomi Osaka's victory in the US Open final captured the world's attention - if, perhaps, for the wrong reasons. The on-court outbursts of Serena Williams - almost certainly the greatest female tennis player of all time - rather overshadowed proceedings. This memorable moment shows Williams comforting Osaka after her first Grand Slam victory. The final really should be remembered for Osaka's determined playing however, outclassing her more experienced opponent and frustrating Serena's latest attempt to match the record for Grand Slam victories. See more Tennis photos & posters. Alastair Cook has had an extraordinary international cricket career. Retiring with a record 33 centuries in 161 Test Matches, the last came in his final ever appearance against India this September. An outpouring of love and bittersweet emotion captured a nation of cricket fans. The outgoing England Cricket Captain surely goes down as one of the greatest of all time. See more Cricket photos & posters. Any sense of optimism the Americans had - with a resurgent Tiger Woods coming into the tournament on a rich vein of form - going into 2018's Ryder Cup weekend this September was quickly deflated. The European team looked strong from Day One. Francesco Molinari's perfect score for the weekend - winning all points available to him - was a first for a European. His impressive performance really tipped the balance in Europe's favour, and the cup stayed on this side of the Atlantic once again. See more Golf photos & posters. See more MMA photos & posters. A real clash of titans, Tyson Fury went into this bout with Deontay Wilder as the slight underdog. With the WBC world heavyweight title on the line, Fury stood his ground (despite being knocked down in the 12th round!) and forced a draw. 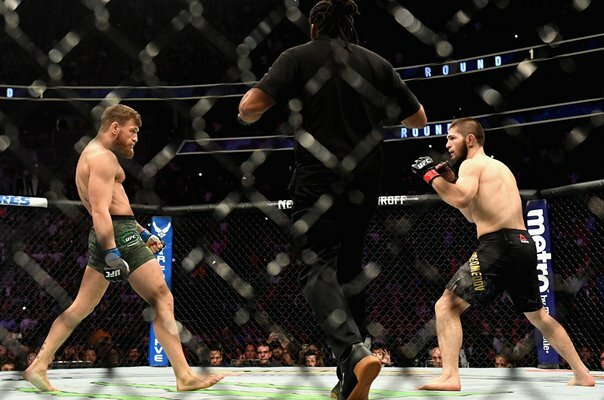 Both men proclaimed their respect for each other post-fight, and the fight is now slated for a rematch. See more Boxing photos & posters. What's your favourite sporting moment of the year? What did we miss? Find thousands of modern and classic sporting photos on Sport Photo Gallery - the perfect gifts for lovers of all kinds of sports!